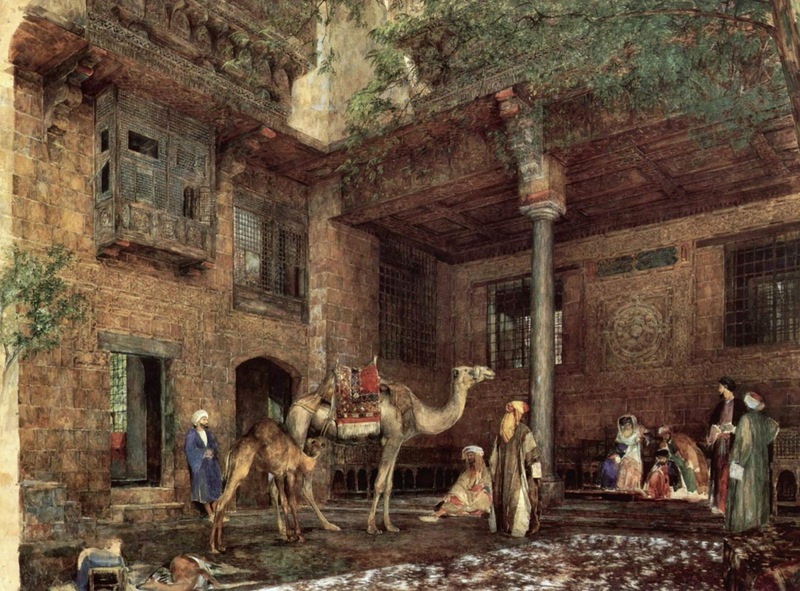 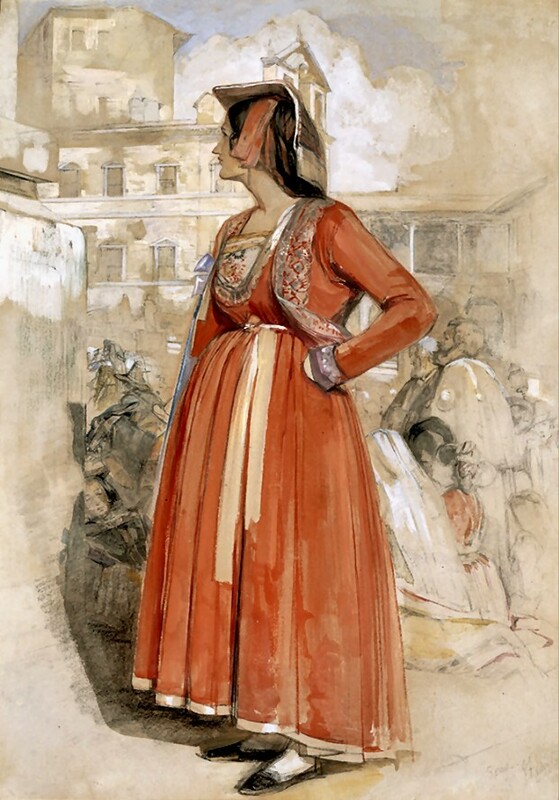 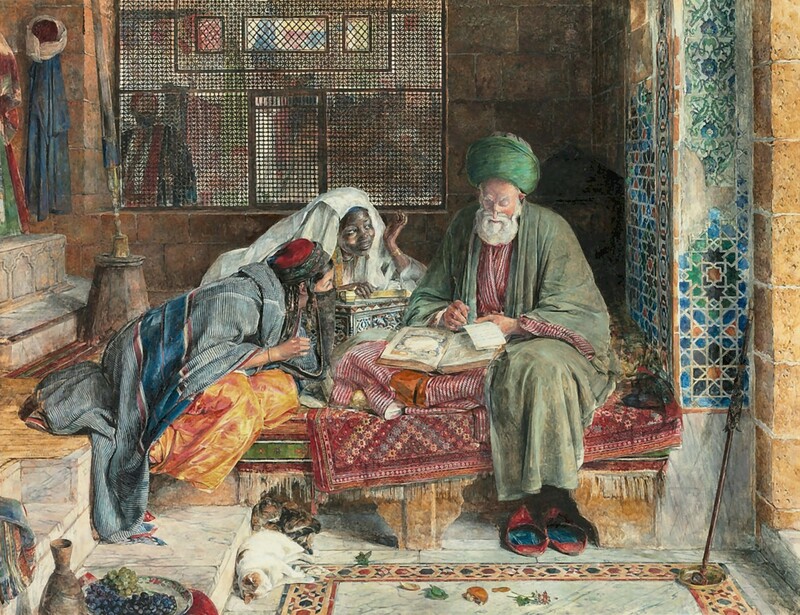 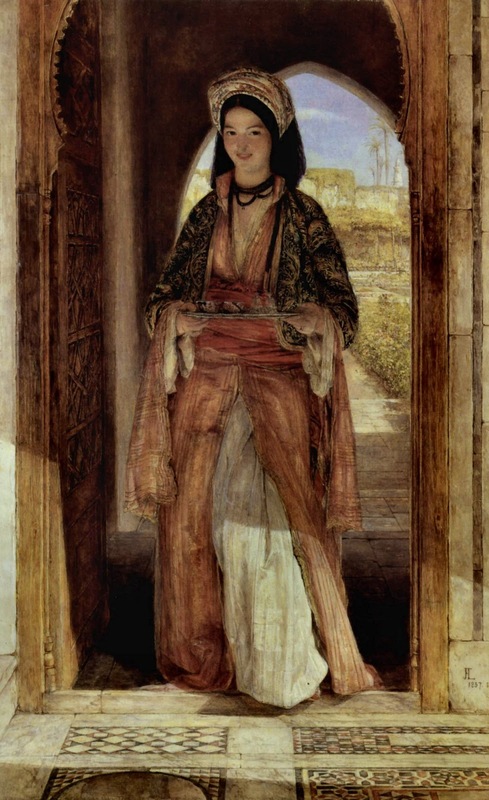 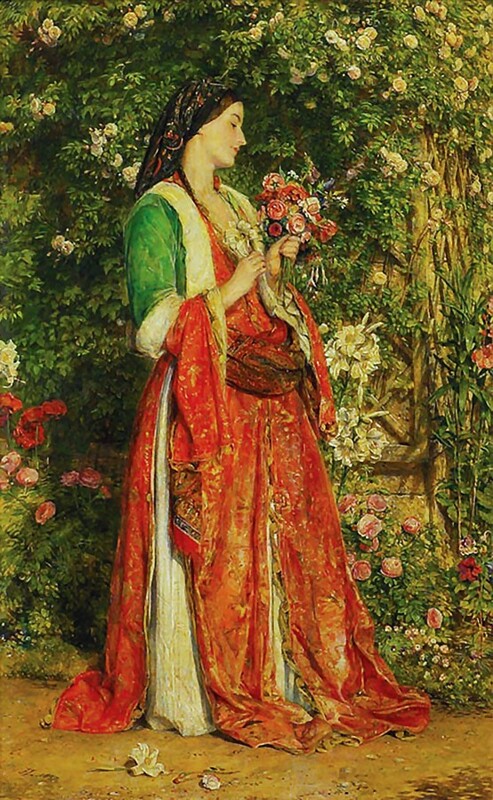 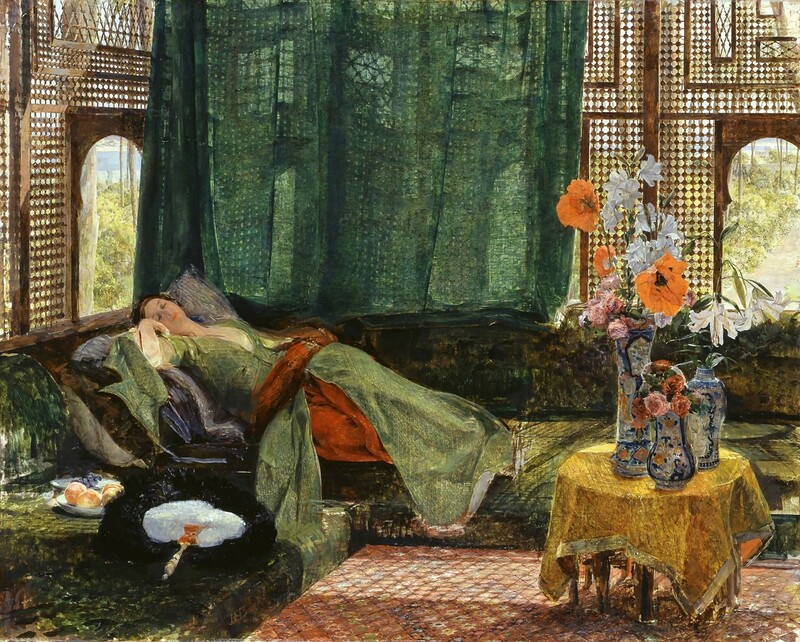 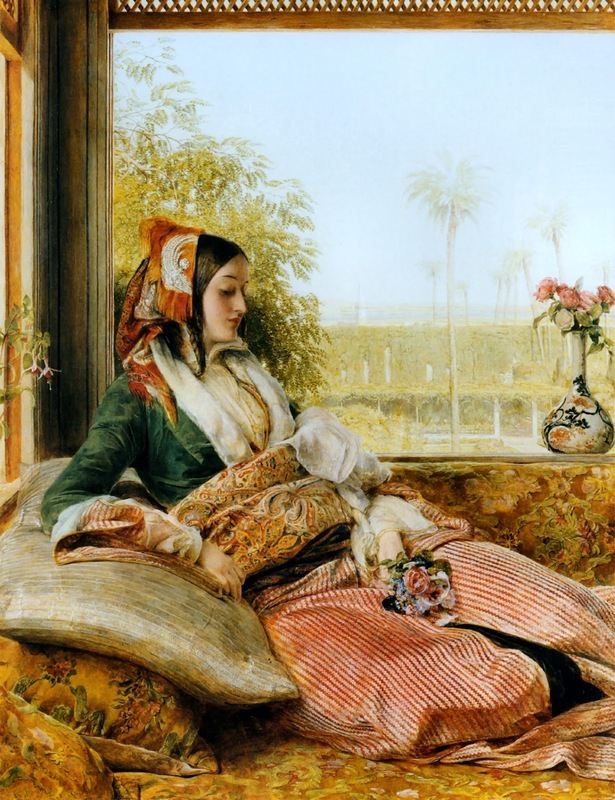 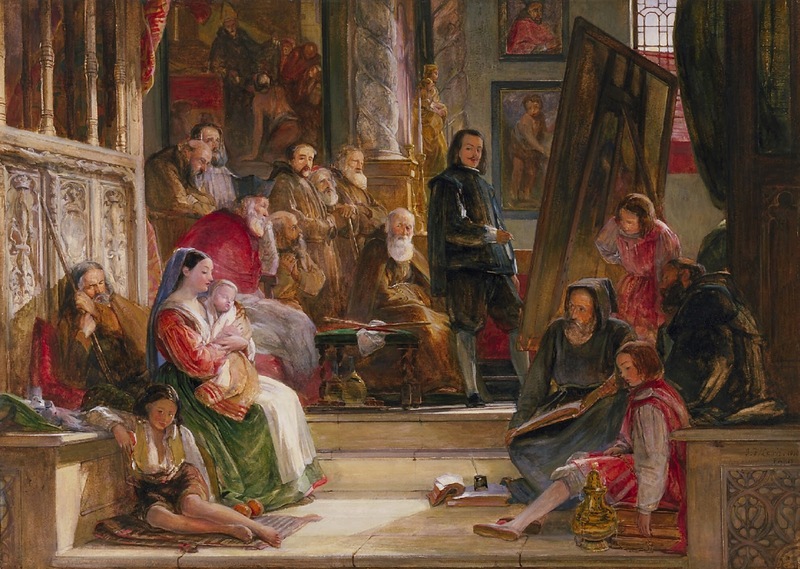 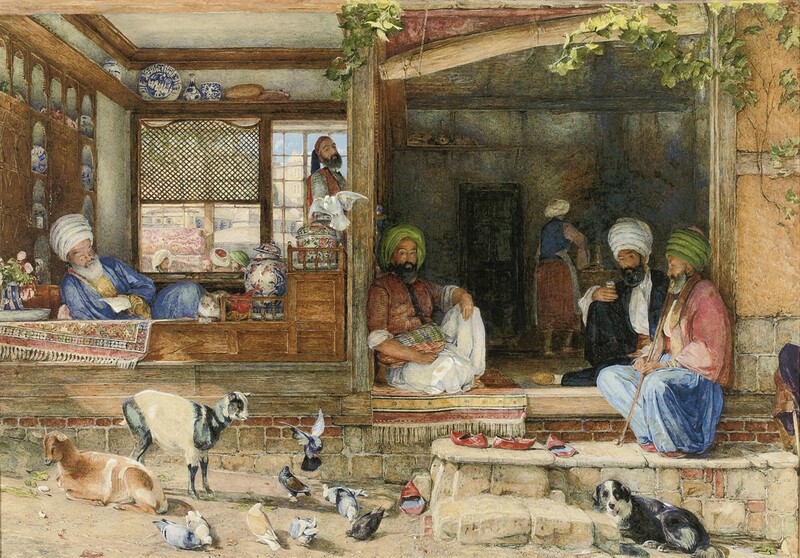 John Frederick Lewis RA** (London 14 July 1804 - 15 August 1876) is considered one of the most important Victorian artists to visit the Middle East. 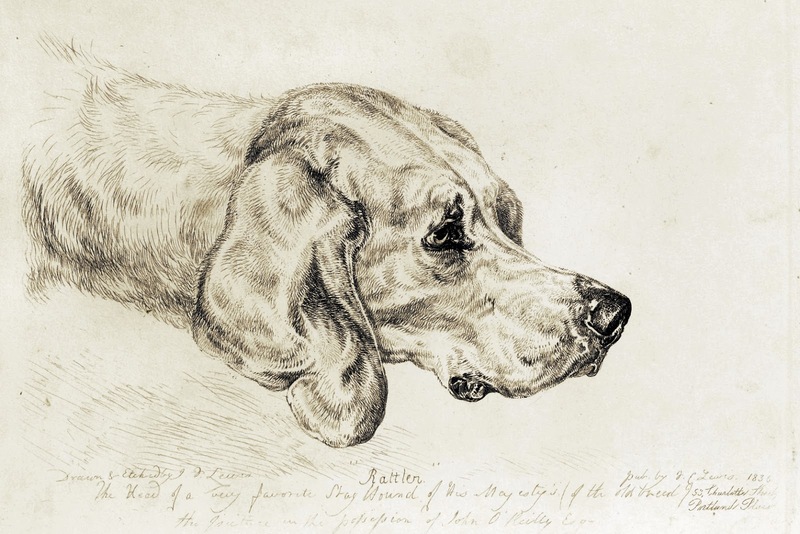 The son of Frederick Christian Lewis, a successful engraver, he gained early success as a painter of animals and sporting subjects. 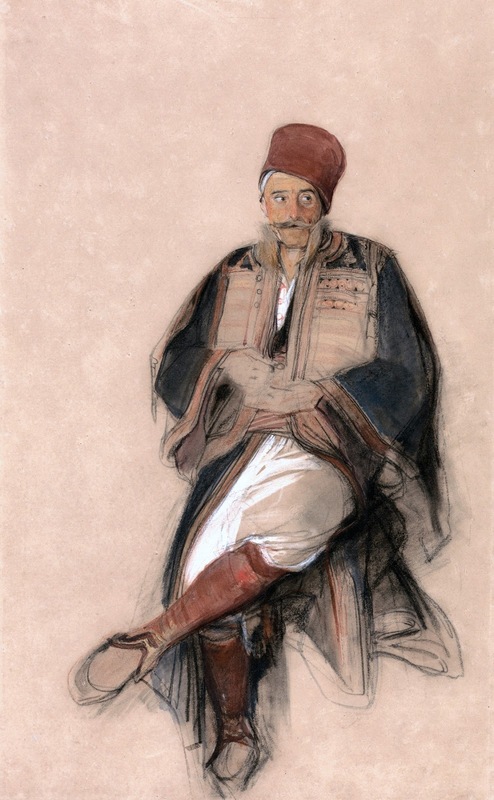 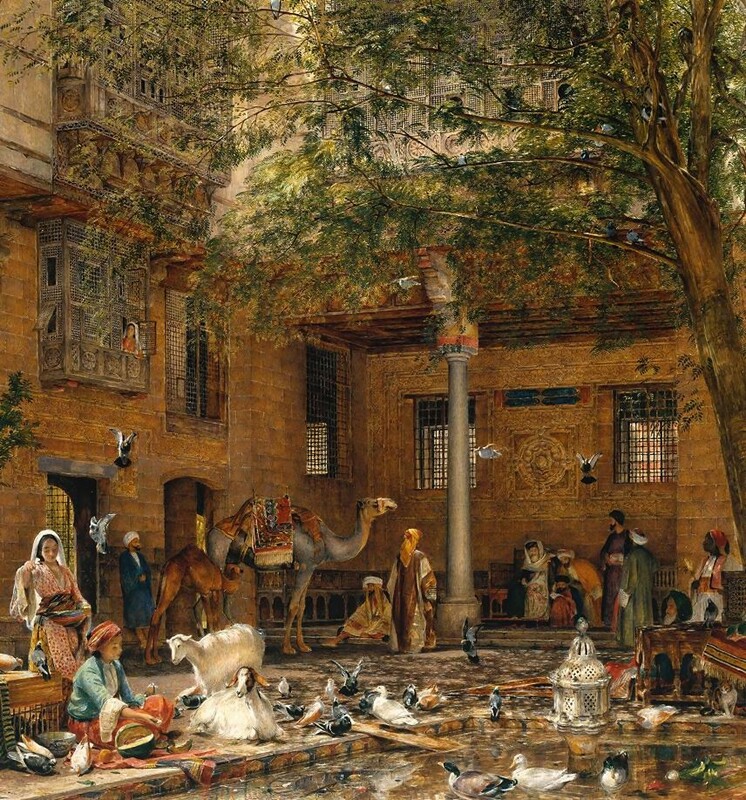 In 1840-1 Lewis travelled, via Italy, Greece and Turkey, to Cairo, where he remained for the next ten years. 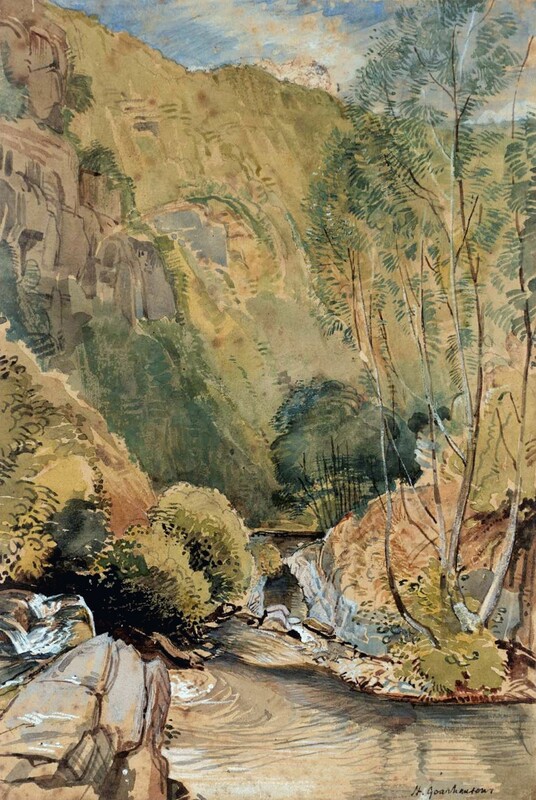 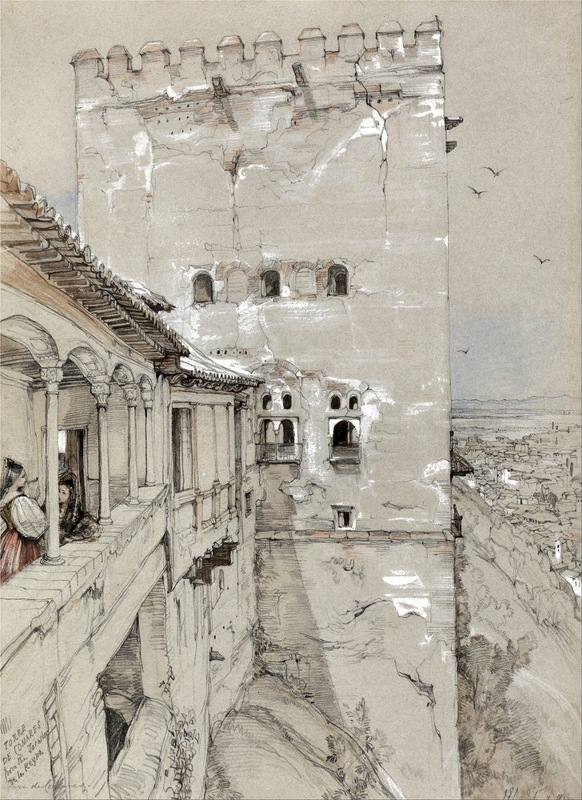 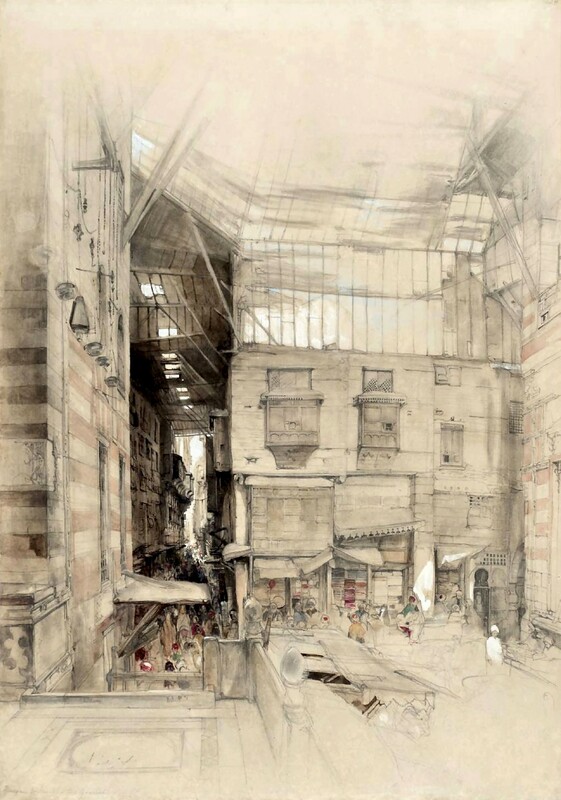 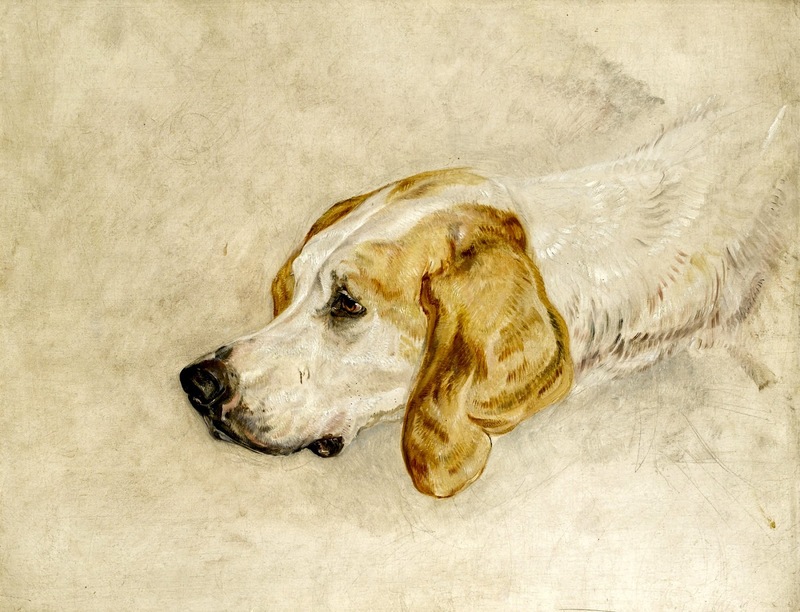 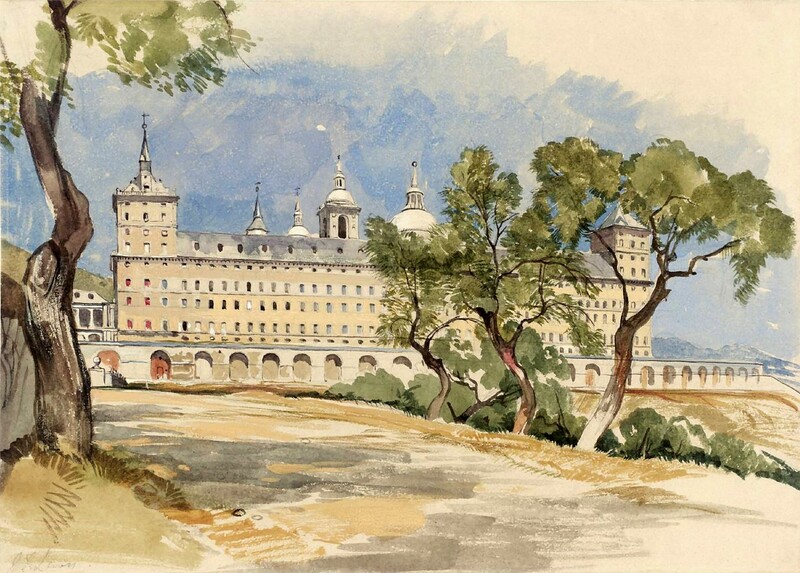 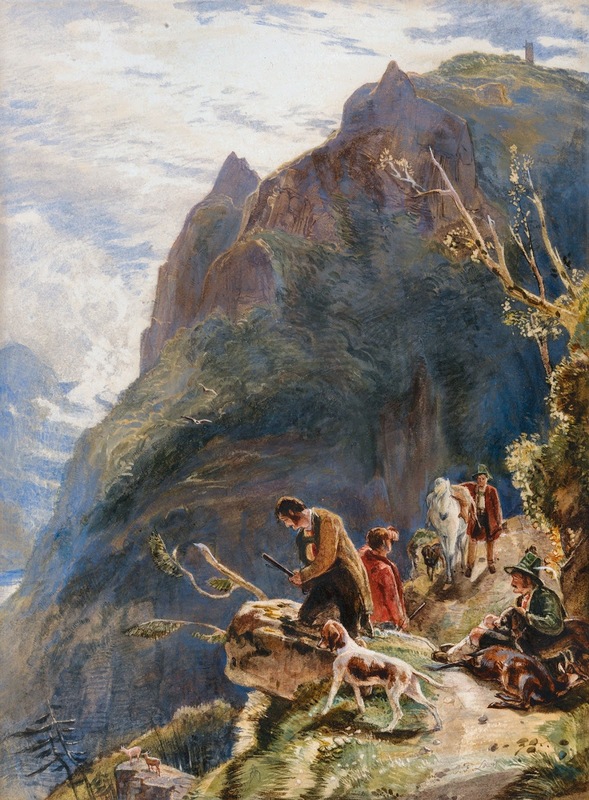 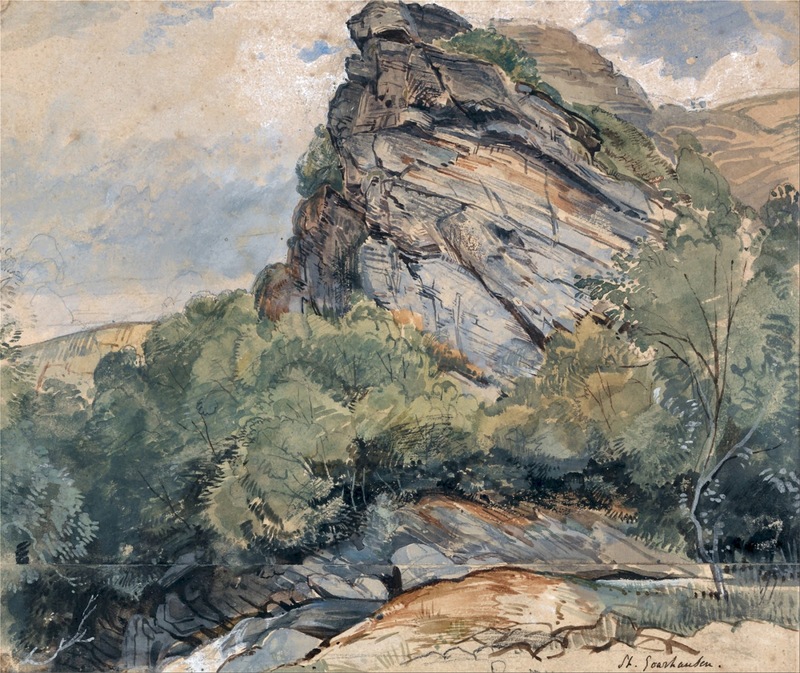 Lewis made nearly six hundred watercolours and drawings throughout the decade. 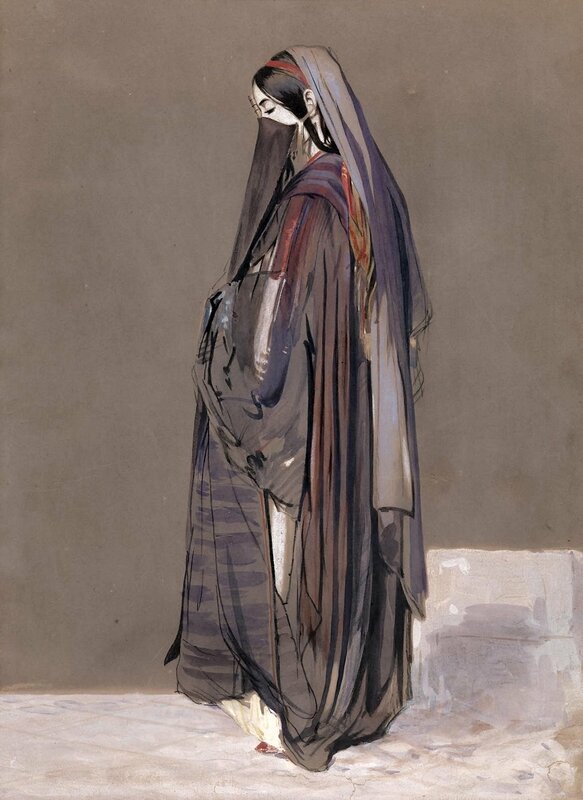 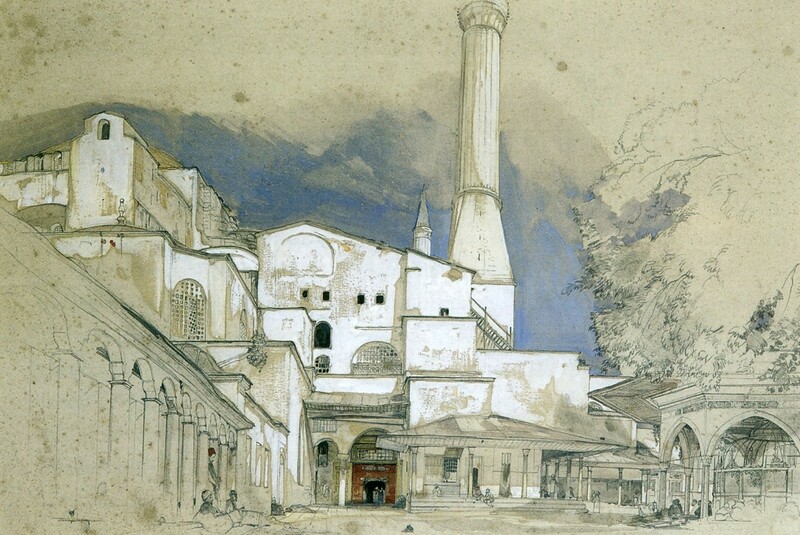 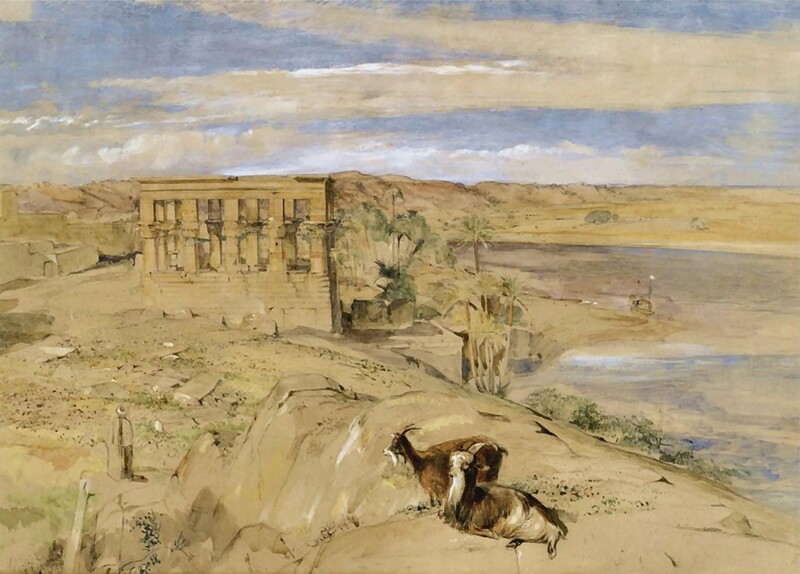 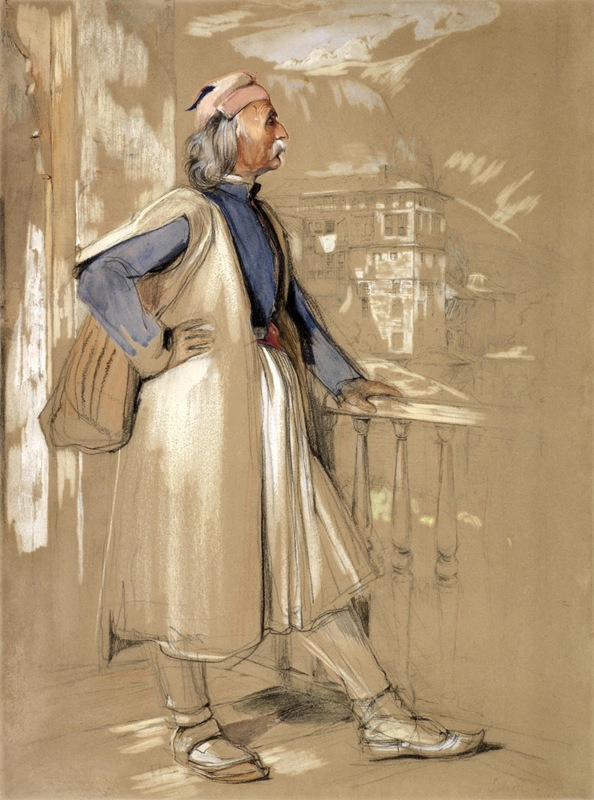 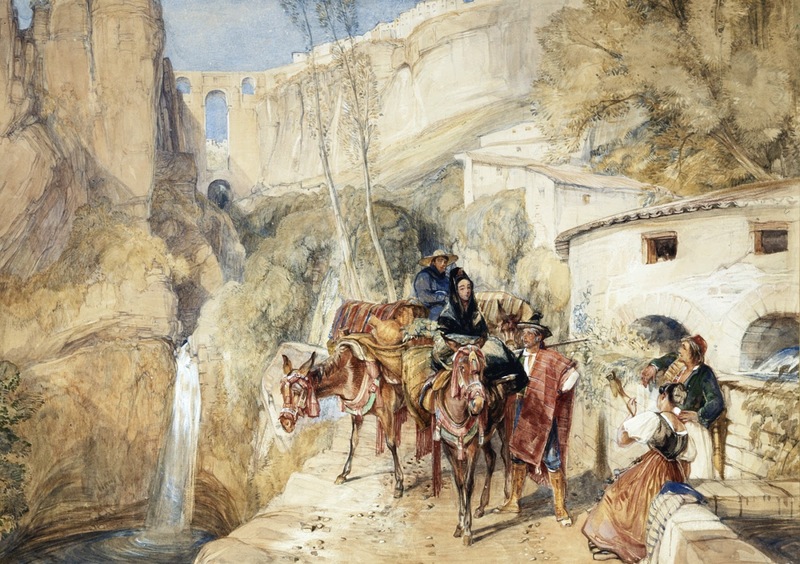 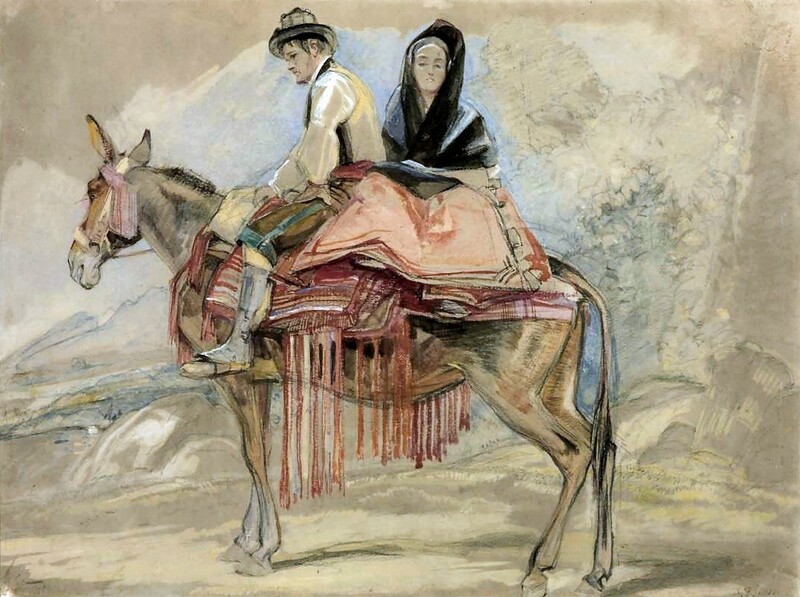 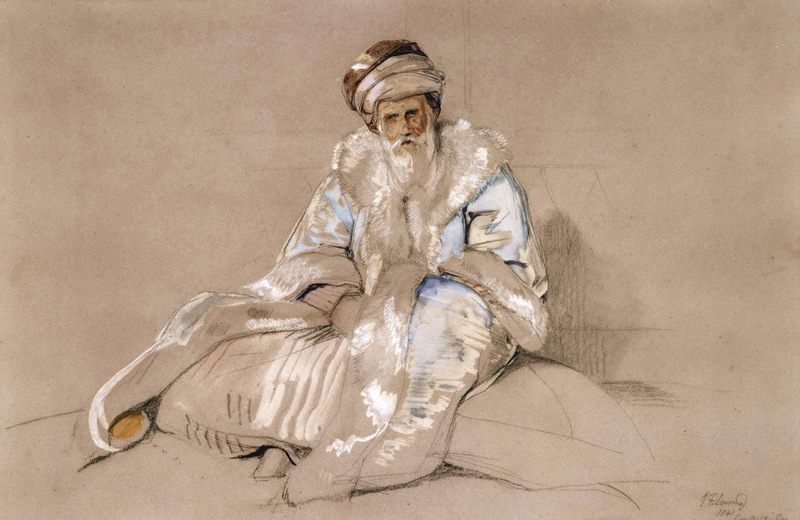 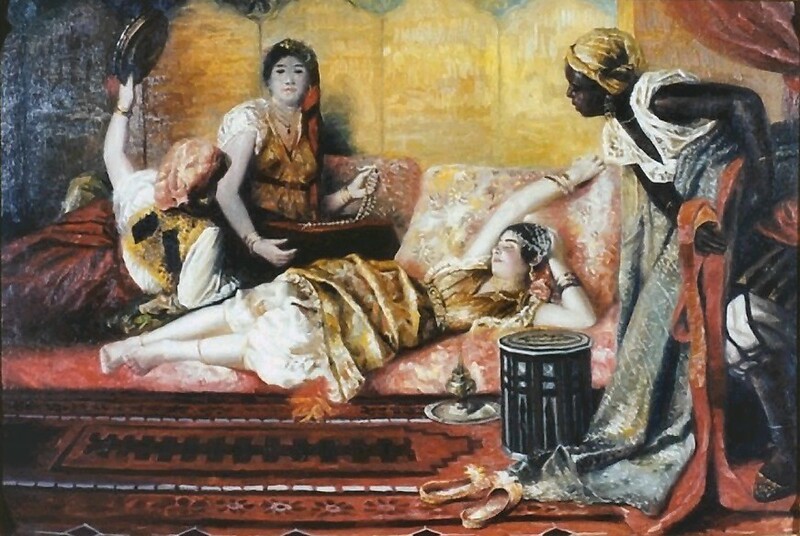 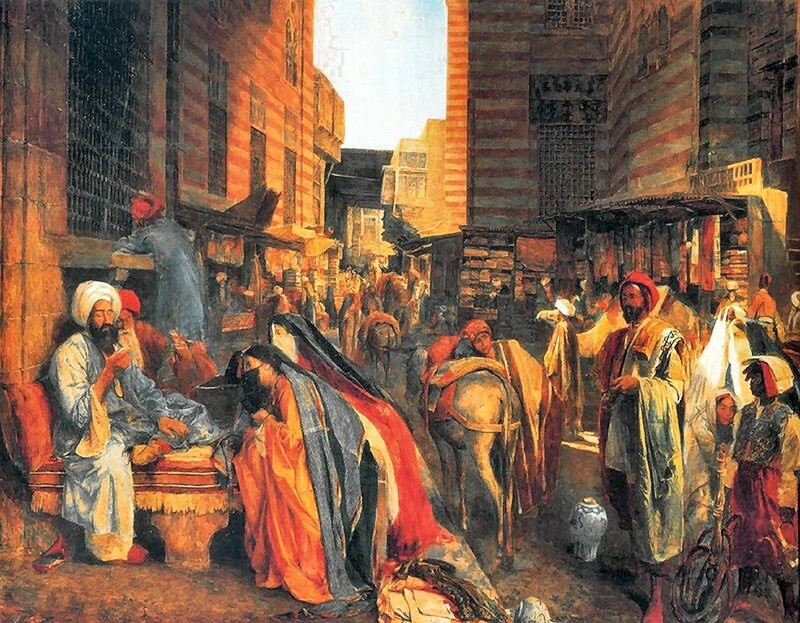 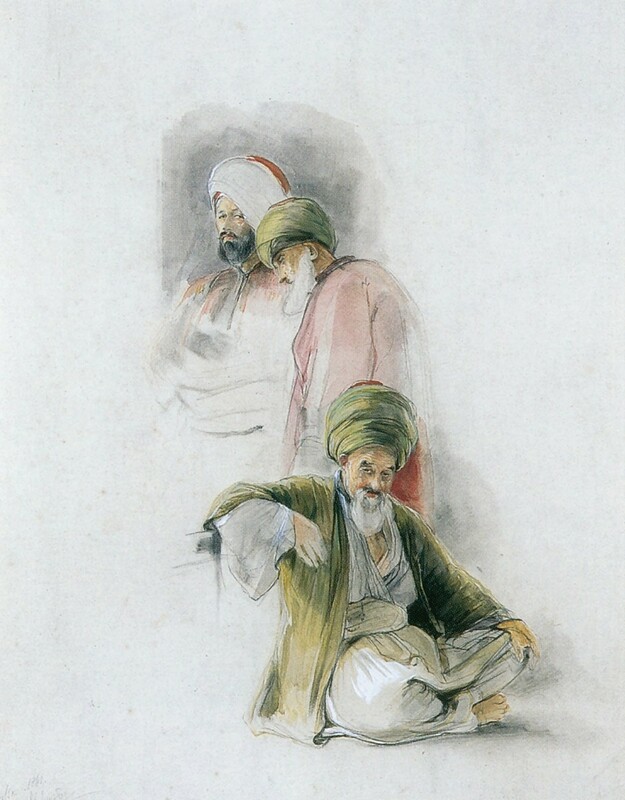 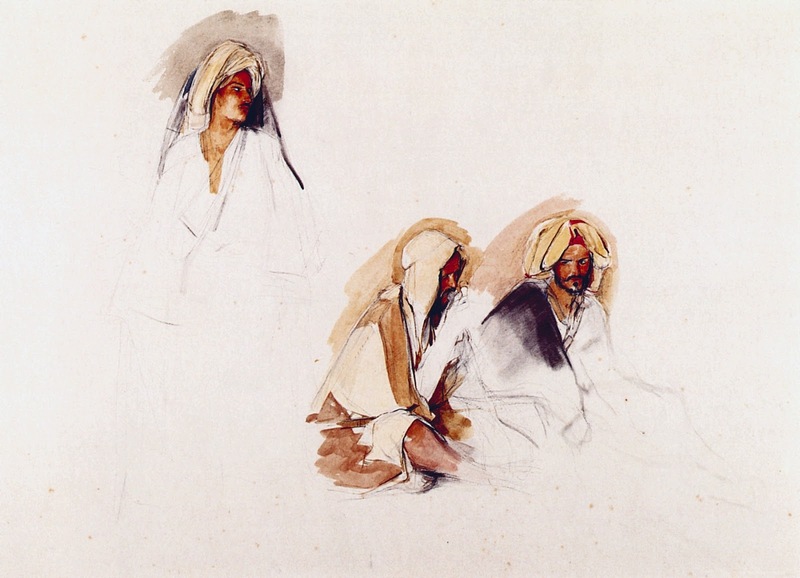 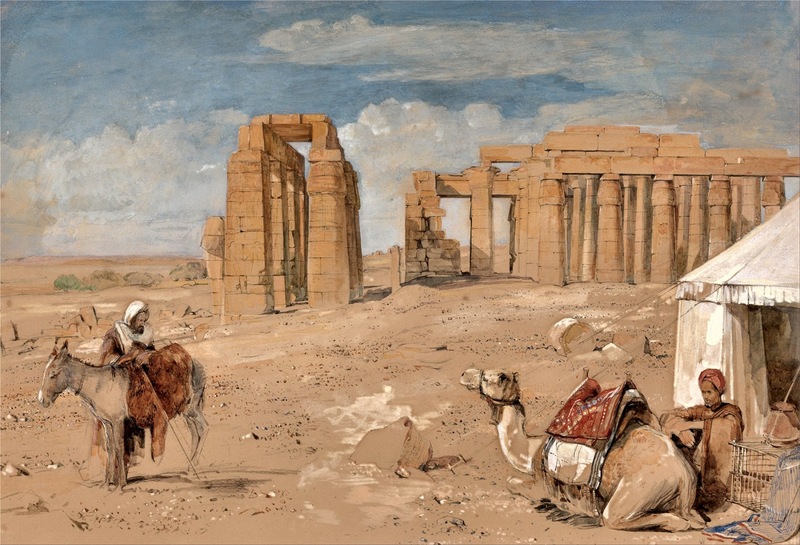 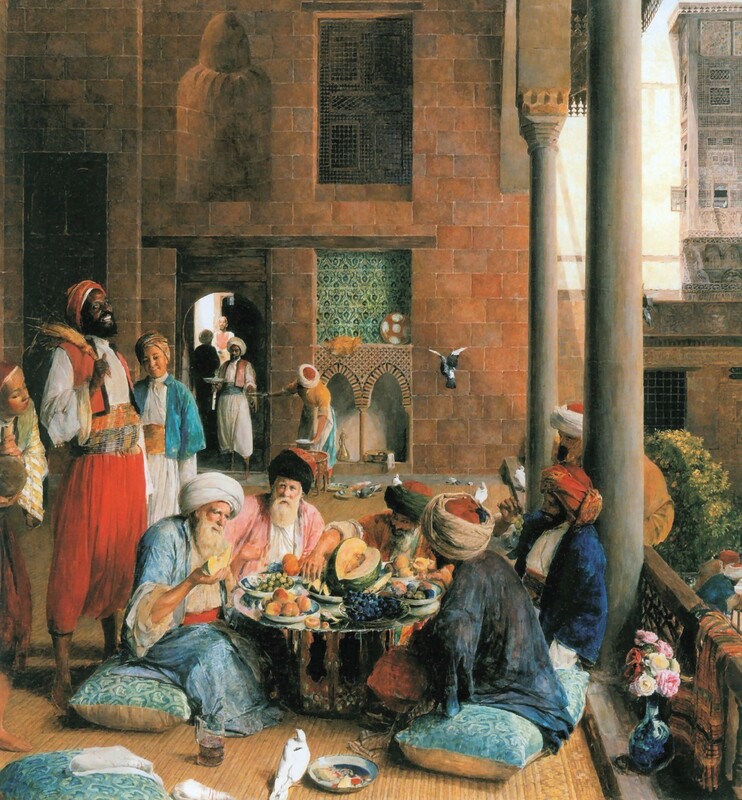 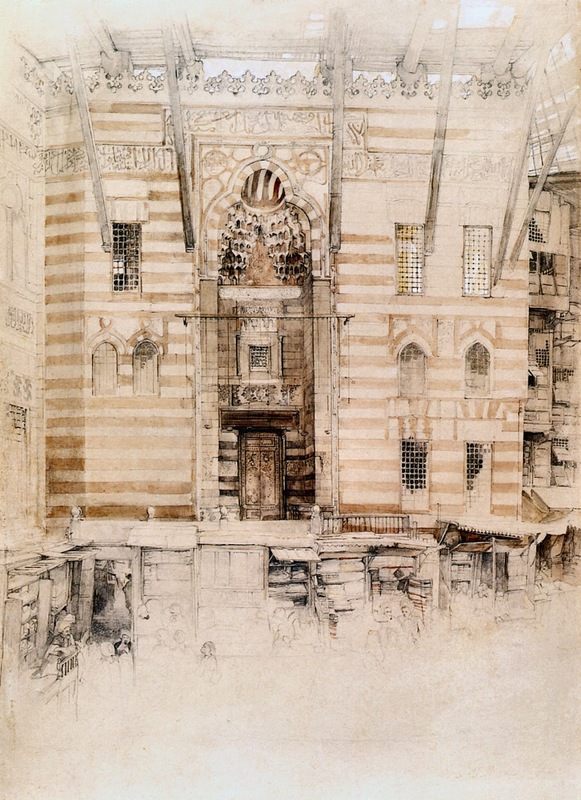 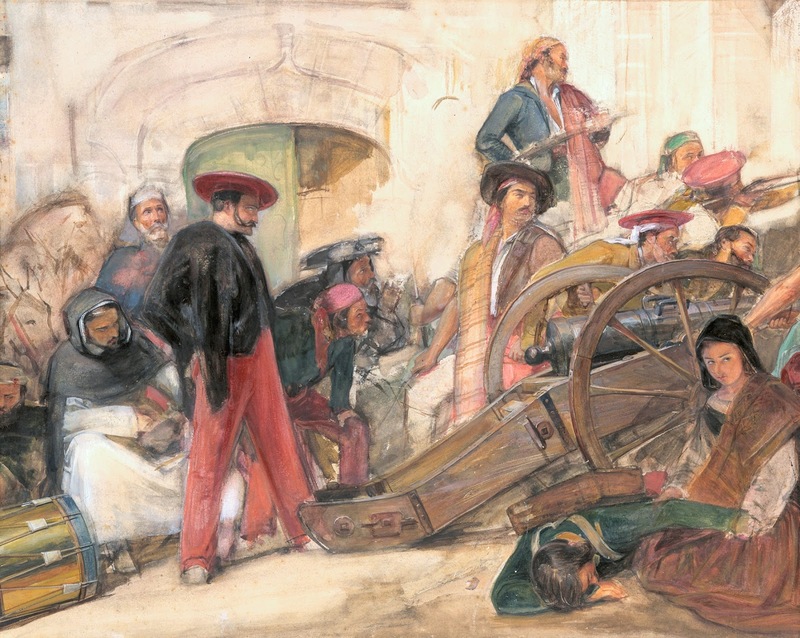 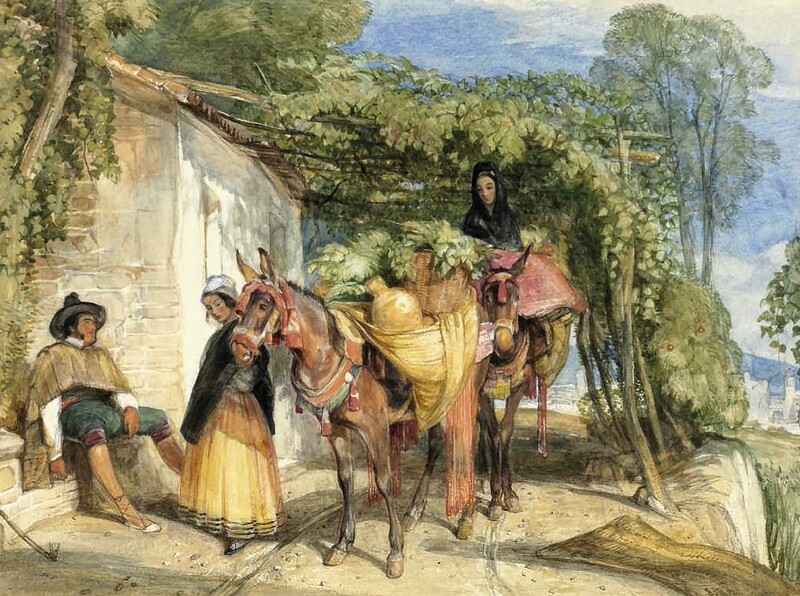 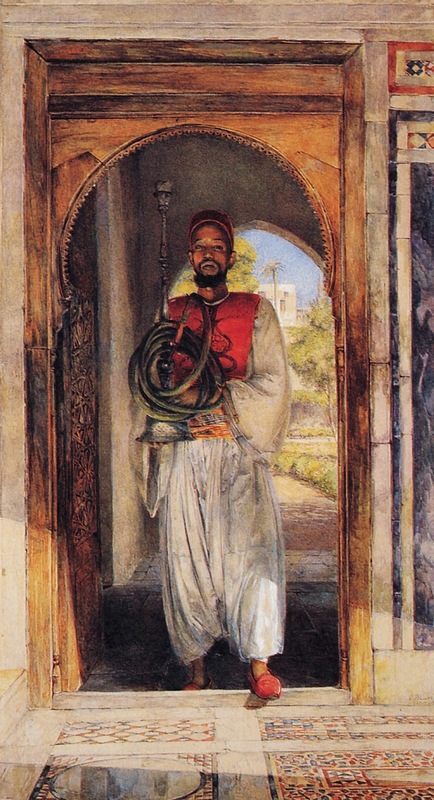 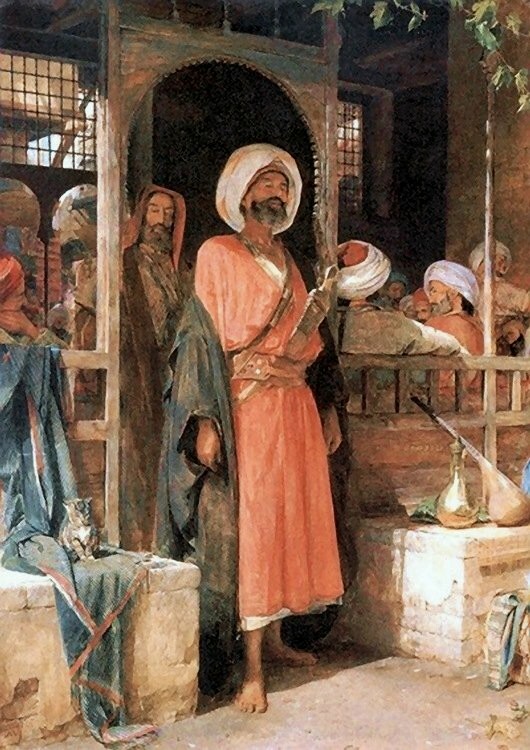 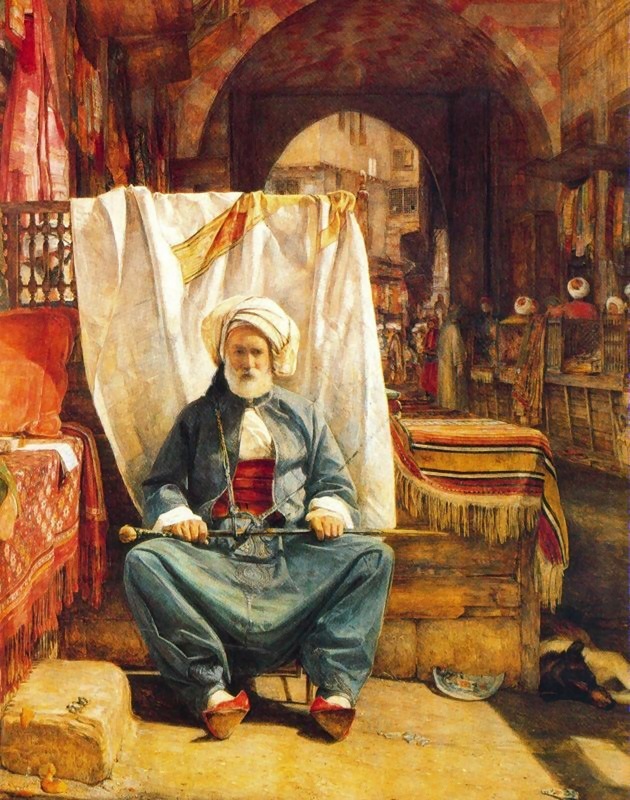 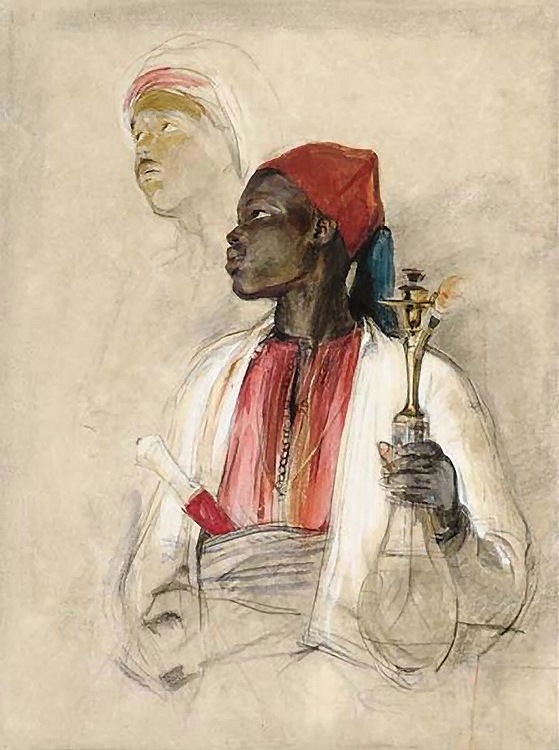 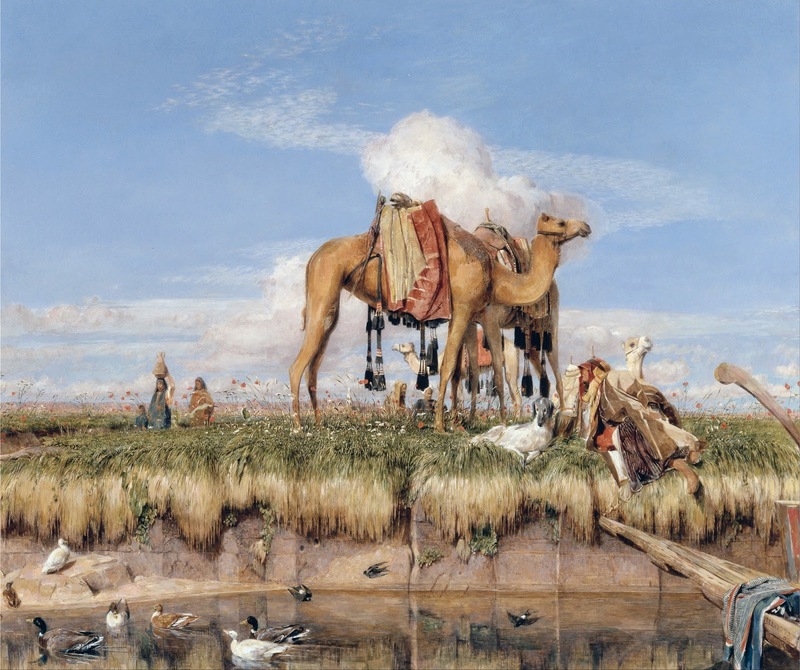 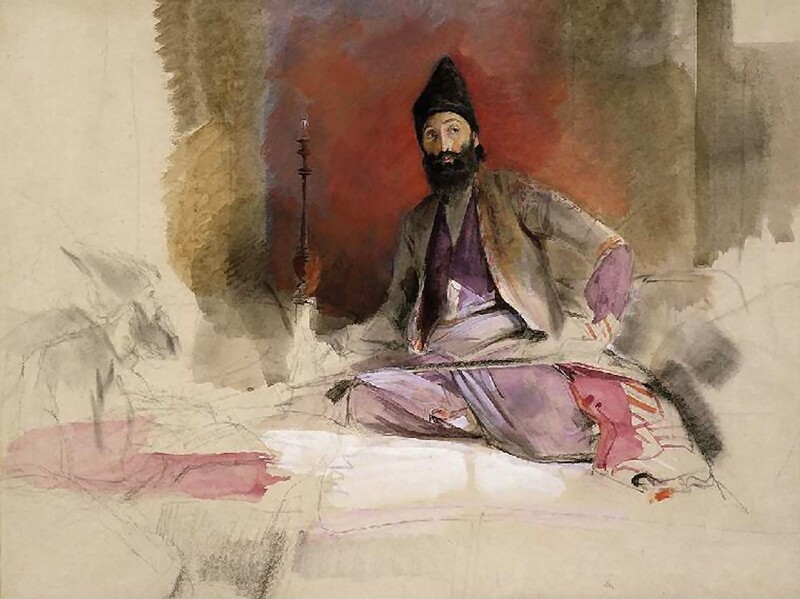 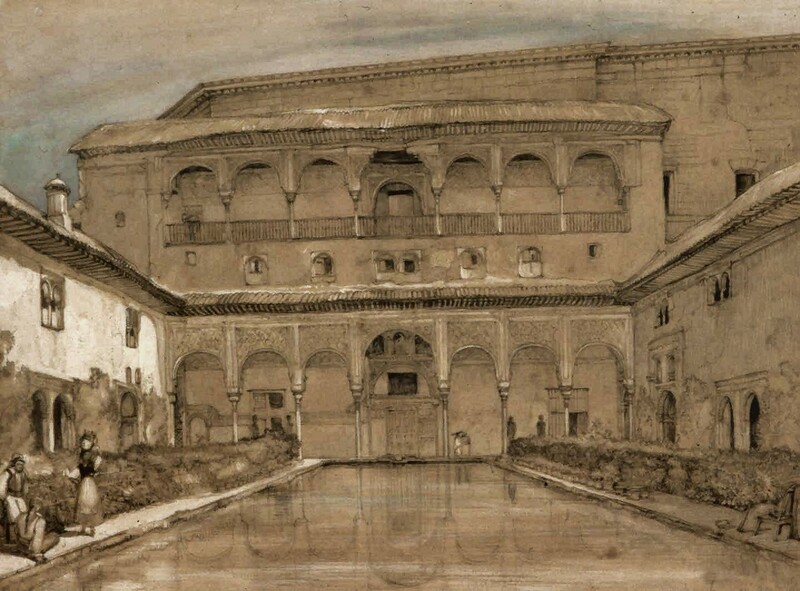 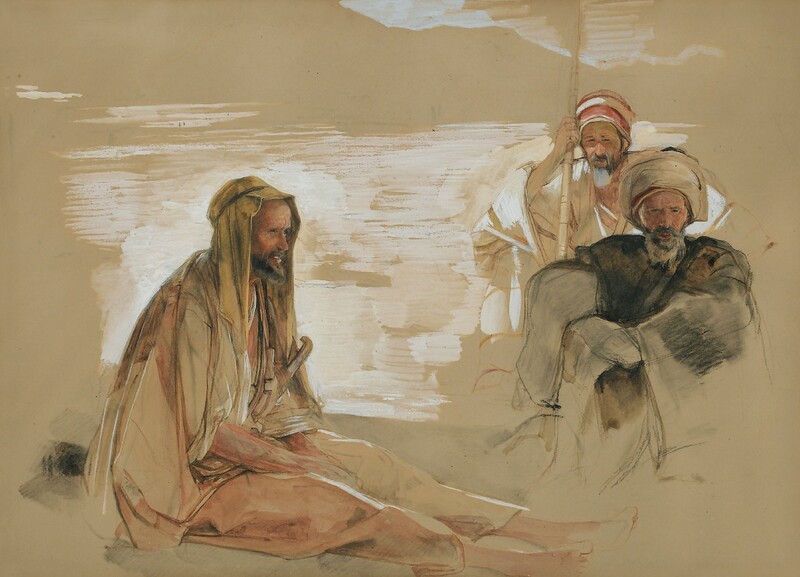 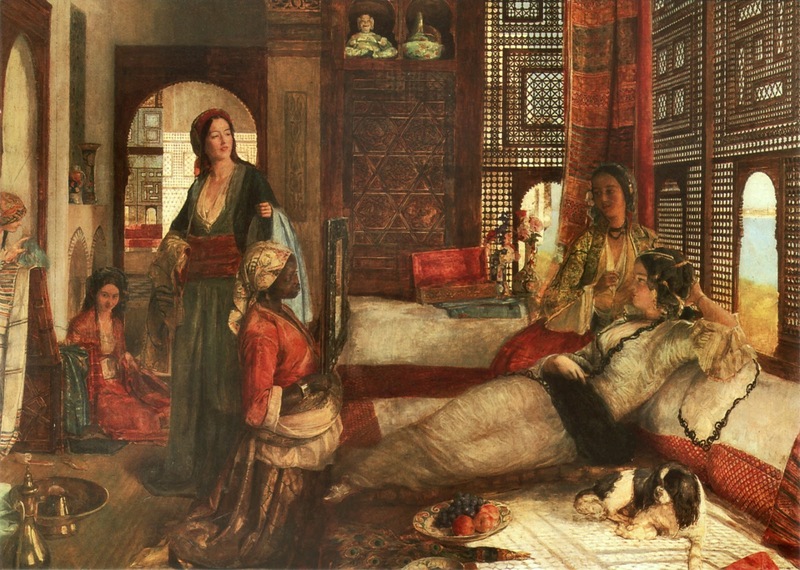 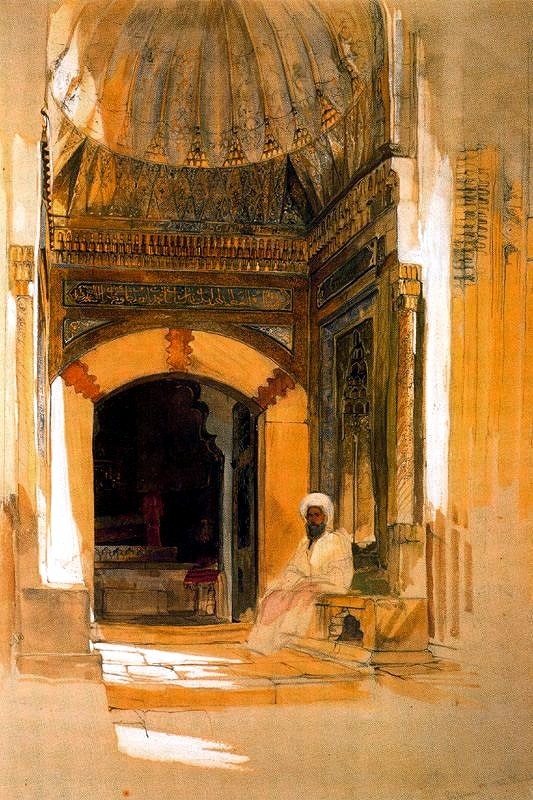 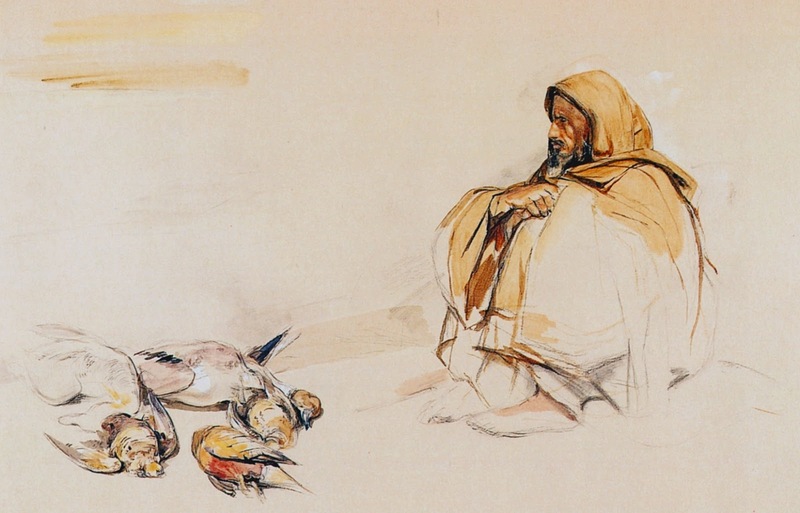 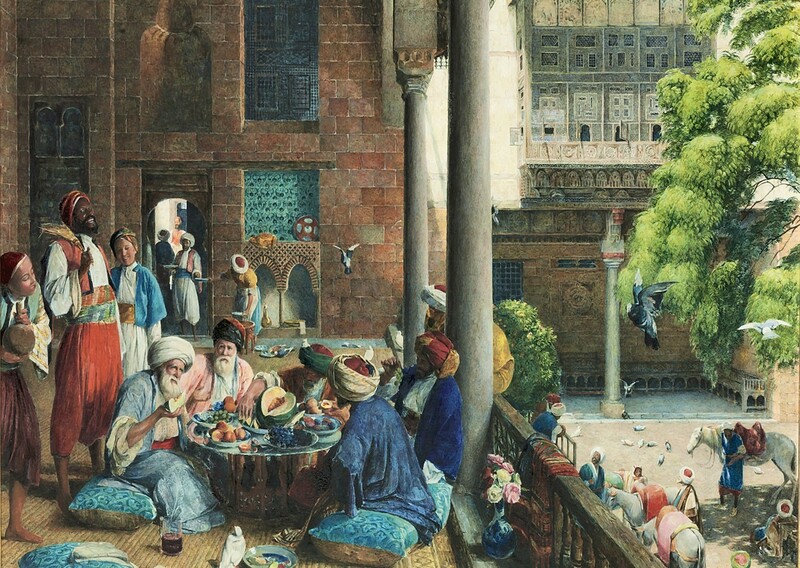 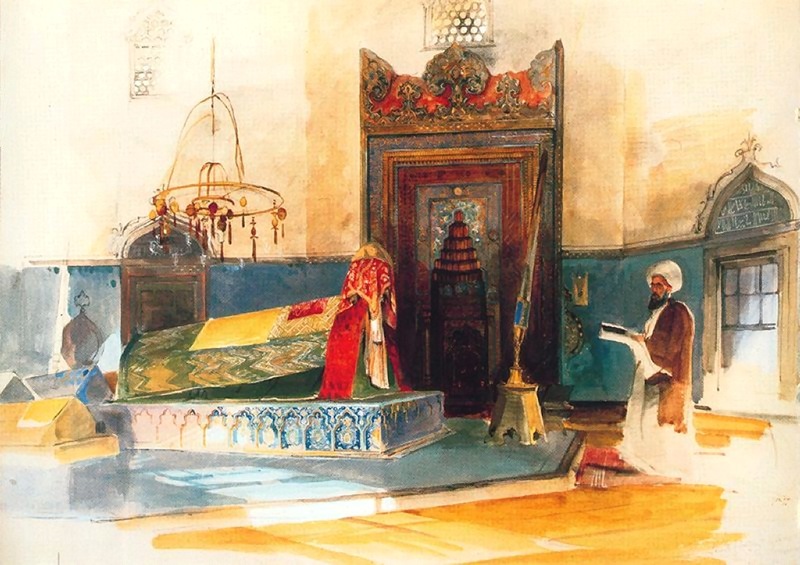 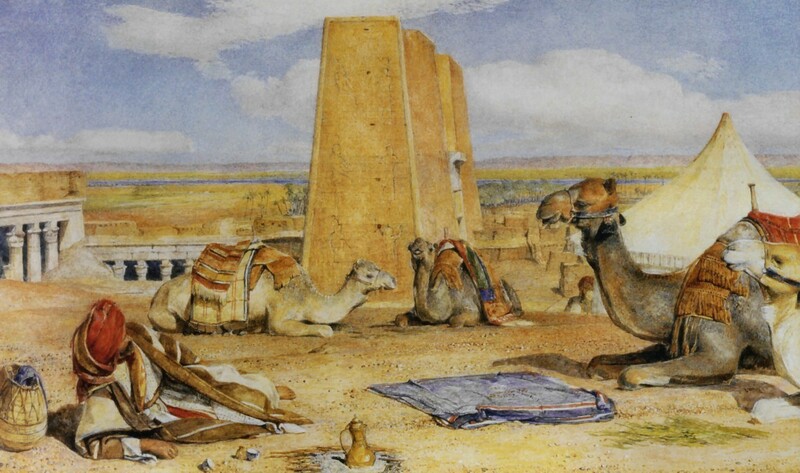 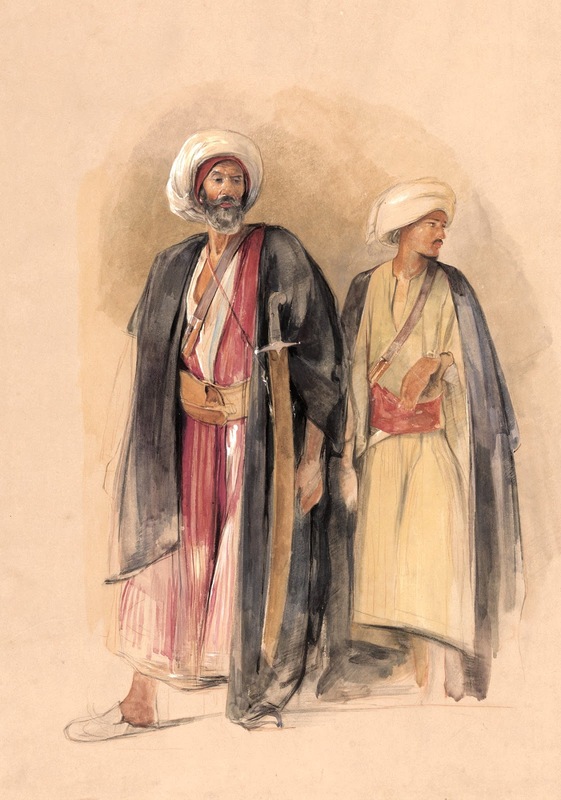 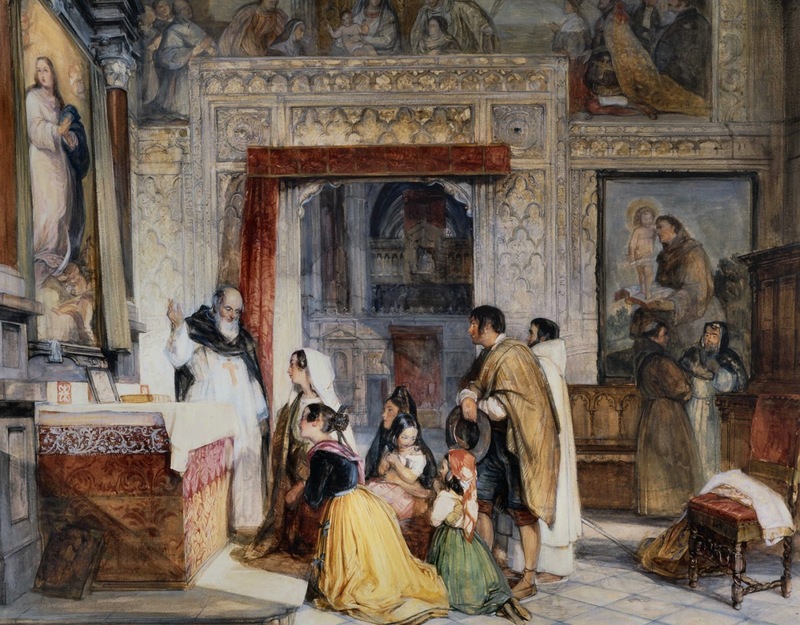 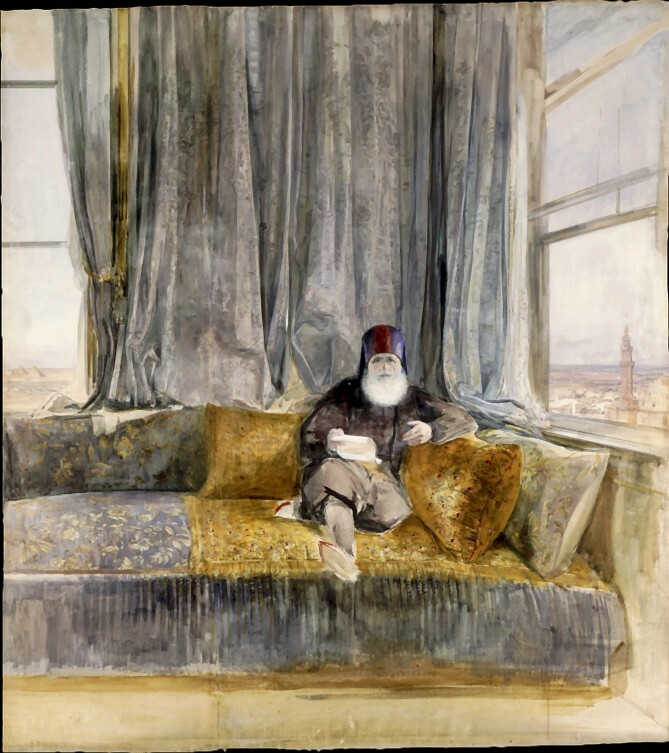 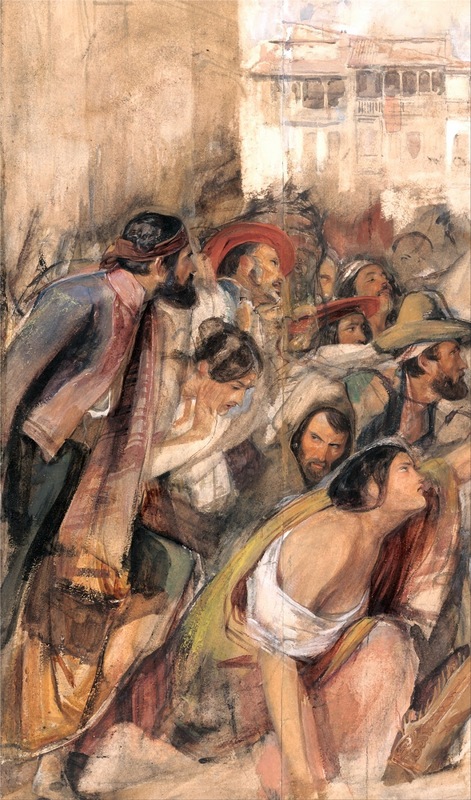 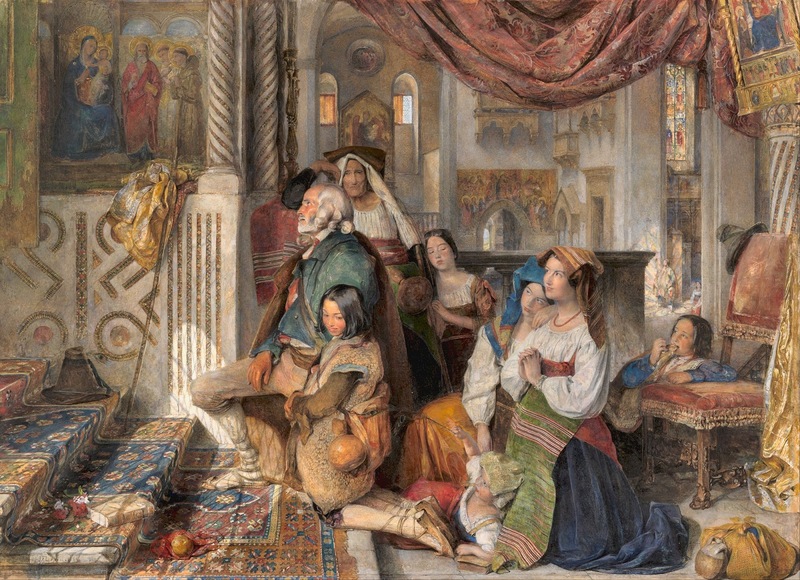 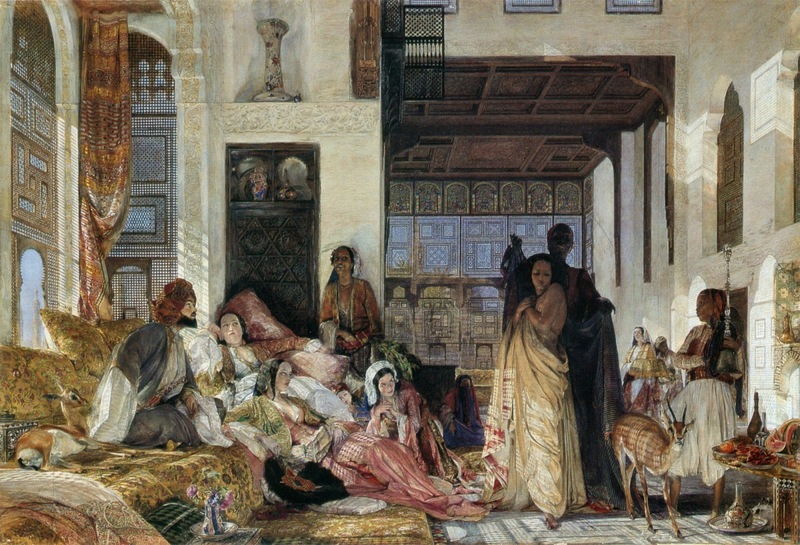 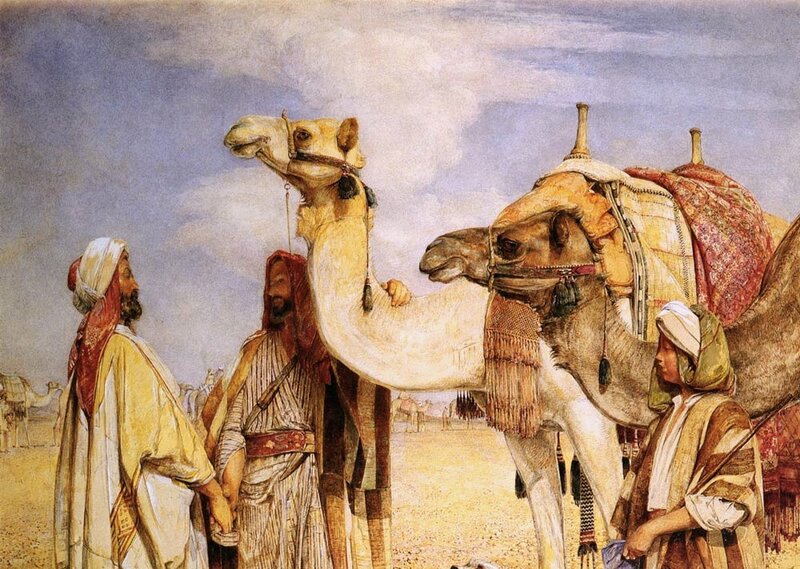 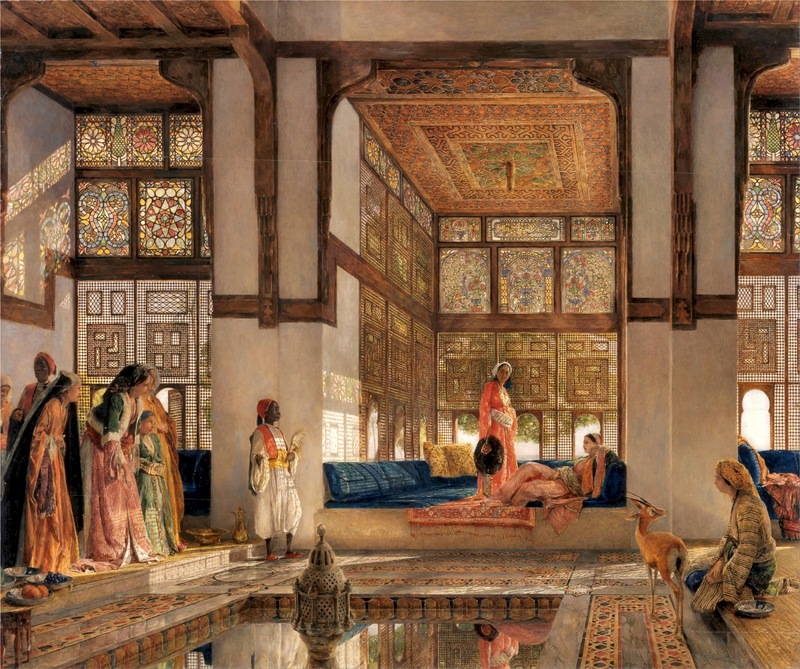 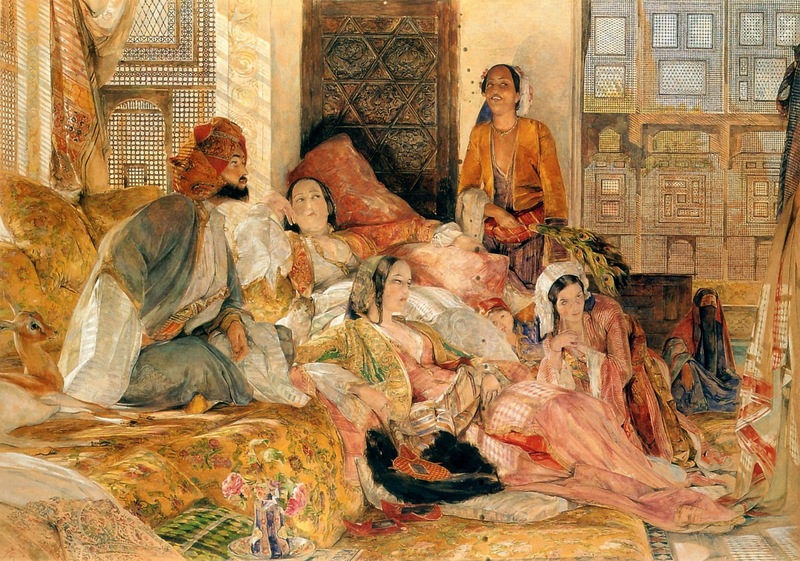 These works, together with the Oriental costumes and artefacts he collected, became the foundation of his paintings of desert encampments, harem interiors and mosques that he made and exhibited after his return to London in 1851.